Uncover the rich history of Georgetown/Scott County, Kentucky. Kentucky’s fastest-growing city has historically been an overachiever. From its earliest days, stretching back 450 million years to the Ordovician Period when the area lay beneath a shallow sea, the land that would become Georgetown/Scott County distinguished itself with rich and varied forests and salt licks and springs that enticed an abundance of bison, elk and black bear. Native peoples have lived, hunted and fished along the lush and temperate banks of Elkhorn Creek in what is now Scott County for at least 15,000 years. (Of course the creek is the longest in the state.) In particular, the Adena culture (800 B.C.-800 A.D.) thrived in the area, with several significant Adena mounds still marking the presence of this pre-Columbian Native American culture. Exploration by people of European ancestry can be traced to the June 1774 arrival in Kah-ten-tah-teh (the name given to Kentucky by the Wyandot Indians) of John Floyd, a surveyor for George Washington, and his expedition party. At that time, all of Kentucky was part of Fincastle County, the largest and westernmost part of Virginia. “The spring is the largest I have seen in the whole country, and forms a creek in itself,” noted a passage in a journal kept by a member of the expedition party. A year before the Declaration of Independence was signed, in 1775, settlement attempts were made in the area, but it wasn’t until the winter of 1783 that a permanent community was established at Johnson Station near the North Fork of Elkhorn Creek – approximately five miles west of present-day Georgetown. It was eventually renamed Great Crossings because of traversing buffalo herds, but the name wouldn’t last long, thanks to an entrepreneurially-minded, fiery-tempered Baptist preacher from Virginia named Elijah Craig (1743-1808). In 1784, Craig incorporated a town he called Lebanon in the Virginia Legislature. That name didn’t last either as it was changed to George Town in 1790 in honor of the first president of the United States: George Washington. Two years later, in 1792, when Kentucky became the15th state of the union, it became George Town, Kentucky. That same year, Scott County became one of the first two counties created by the newly formed Kentucky Legislature. It was named for General Charles Scott, a Revolutionary War hero who was called out for “corrupting the morals of our youth” and as “one of the wickedest men I ever saw,” depending on whom you asked. He would later serve as the Commonwealth’s fourth governor, from 1808 through 1812. But back to Craig, who probably set Georgetown/Scott County’s already overachieving nature into overdrive. Craig is credited with these firsts: first classical school in Kentucky, founded in 1788; first ropewalk; first saw, grist and paper mills; and first fulling mill, which has to do with cleansing cloth. His biggest first? Producing bourbon whiskey, distilling the spirit in 1789 at the site of Royal Spring Park, located in present-day downtown Georgetown. The school Craig founded was later absorbed into Rittenhouse Academy and later still, in 1829, into Georgetown College, the first Baptist college west of the Allegheny Mountains (and possibly one of the very few with ties to bourbon). Georgetown continued to distinguish itself after Craig’s death in 1808 – but not in a way that made all its citizenry happy. Spiraling into decline, the community was described as “notorious for its wickedness and irreligion” by Elder Barton Warren Stone. 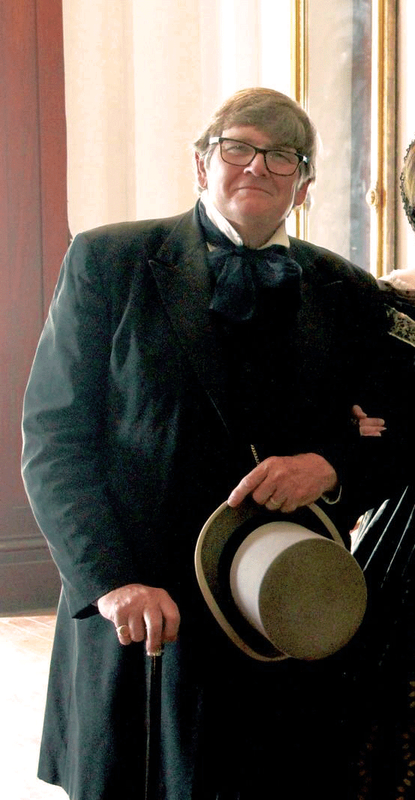 He had moved to Georgetown in 1816 to become principal of the Rittenhouse Academy. Things calmed down eventually and Georgetown College started making a name for itself, first as an innovator in the superior classical education it provided and, in 1898, as one of the first such institutions in the South to become coeducational. Throughout the nineteenth century, Georgetown’s cultural and economic life – the latter based on tobacco, milling, distilling and the rope and bagging businesses – was closely tied to that of the Deep South. While Kentucky remained officially neutral during the Civil War, Scott County’s leanings were Southern. Following the war, many Scott County African Americans took part in the “Great Migration,” with many settling in the newly formed, all-Black community of Nicodemus, Kansas. Life in the Great Plains was one of hardship, however, and many would eventually return to Scott County and the new African American-settled communities of Zion Hill, Watkinsville and New Zion. 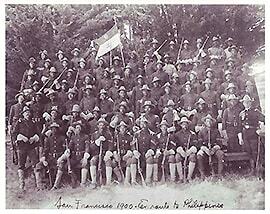 Several of these residents joined the 9th and 10th Cavalries and the 23rd and 24th Infantries. These were the legendary Buffalo Soldiers, established by Congress as the first peacetime all-Black regiments in the U.S. Army. The name, “Buffalo Soldiers,” was given to them by Native Americans in the late 1870s and marks a place of honor in U.S. history for those who served. According to Gone, Forgotten, Now Remembered: Scott County, Kentucky Cemeteries, at least four Buffalo Soldiers are buried in the Old Georgetown Cemetery. 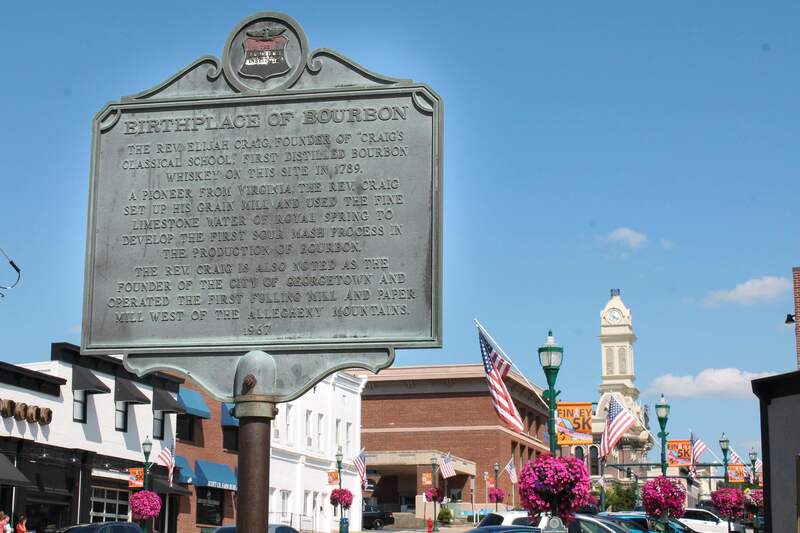 While Georgetown was growing, other communities in Scott County were also flourishing. In 1834, Stamping Ground – so called for the buffalo herds that would gather at the salt spring and stomp the ground while waiting for water – was incorporated. Sadieville, once called “The Big Eagle,” was formed in 1879 in the northern portion of the county as a rail stop along the Cincinnati Southern Railroad. The city was named in honor of Sadie Emison Pack, who played hostess to construction engineers working on the line. Throughout the 20th century, Georgetown and Scott County have been in a transition from an economy based primarily on agriculture to a diversified one of manufacturing, small business and the family farm. During the 1960s, the construction of Interstate 75 placed the county right smack on one of the busiest highways in America. Two decades later, in 1985, the selection of Georgetown as the site of Toyota’s first American assembly plant – and the largest Toyota Manufacturing plant in the world – resulted in the greatest period of growth in the county’s long and storied history. Today, Georgetown and Scott County remain proud of its past achievements and poised for an exciting future. We invite you to visit with us and experience our heritage. Sadie, Sadie, married lady. Two centuries ago, Mrs. Sarah “Sadie” Emison Pack was honored when this former railroad town, incorporated in 1880, was named after her – proving that girl power is not a new concept. Originally called “The Big Eagle” owing to its location on Eagle Creek, it was changed to acknowledge Pack’s efforts in helping railroading construction crews that set up their base of operations in this crossroads community. One of the greatest and most lucrative railways in the south, the Cincinnati Southern Railroad made Sadieville – described as a “bright village, putting on city airs” – one of its shipping points, and a seriously lucrative one at that. Records from 1904 note that 216 cars filled with stock, logs and tobacco, which amounted to thousands of dollars, shipped from Sadieville. That same year, over $13,000 worth of rabbits, hides, produce and other goods were shipped by Sadieville merchants. Sadieville was the largest market in the country for shipping yearling mules and colts. The firm, Burgess and Gano, purchased the majority of these animals in Sadieville and shipped them to various points in Georgia. The young mules and colts were corralled in the countryside and once three or four hundred had been delivered by the stock raisers, drivers would round them up and drive them to Sadieville stockyards alongside the railroad tracks. An advance team of men would alert residents that the “mules were coming” so they could prepare for the thick cloud of dust – at times as dense as a heavy fog – the animals would raise stampeding into town. Recalling Sadieville’s history as a railway town is the Sadieville Train Car, a historic 1955 caboose located a few feet from an active Norfolk-Southern Rail Line. The restored car has original equipment and fixtures as well as some original documents and is today one of two documented Sadieville geocaching sites on the Scott County GeoTrot. 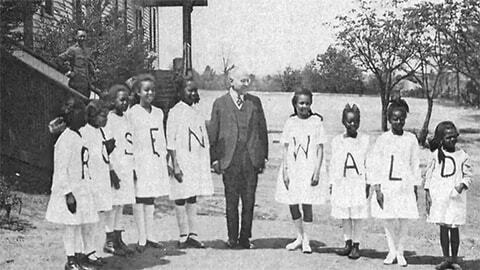 Sadieville is also home to a Rosenwald School, one of the many state-of-the art schools built across the South in the early 20th century for African American children. Constructed between 1917 and 1920, the school remained segregated until 1954. Restored in 2011 to preserve its history, the school is now a museum/cultural center. Visit by appointment by contacting the City of Sadieville at 502-857-4576. Nearly 140 years after its founding, Sadieville is a quiet community on beautiful Eagle Creek with rural backdrops, tree-lined country roads and historic homes, including a significant collection showing off late Victorian-era and early twentieth-century residential architecture. Its downtown is listed on the National Register of Historic Places. Stamping Ground was named for a noise: the stamping of hundreds of hooves of impatient buffalo waiting to drink from Buffalo Spring. The bowl-shaped basin is actually one of Kentucky’s three major “stamping grounds” sitting at the junction of trails used by migrating herds. 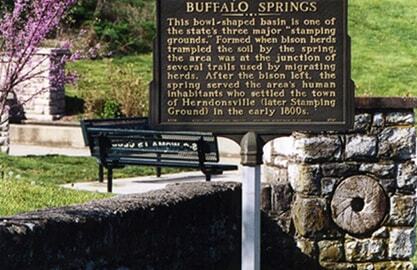 Adventurers Will McConnell and Charles LeCompte discovered Buffalo Spring in 1775 and called it Buffalo Stamping Ground. It is located on an ancient migratory path the Native Americans called Alant-I-wamiowee, or buffalo path – a wide swath of land cut into forest that has left a permanent imprint at the spring. This path was also used by the Mound Builders and, later, pioneer settlers. The Alant-I-wamiowee is likely the roadbed that forms the road from Stamping Ground toward Georgetown, where migrating herds would ford Elkhorn Creek at a place known as the Great Crossing. Sometime around 1790, a fort was built by Anthony Lindsay. 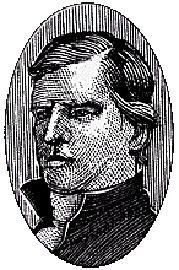 Located near LeCompte’s Run – a branch of the Elkhorn named for Charles – it became the first settlement in Stamping Ground and kicked off a series of firsts, including the establishment of McConnell’s Church in 1795 and the Post Office in 1814. By 1880, Stamping Ground had four stores and about 300 people. Although the population has more than doubled, present-day Stamping Ground is a quiet, historic community surrounded by beautiful countryside. A source for the research for this history was Scott County Kentucky – A History, published in 1993 by The Scott County Historical Society, Georgetown, KY. Lindsey Apple, Frederick A. Johnston and Ann Bolton Bevins, editors.